● The Go Bowling driver ran inside the top-five until lap 50 when he said his No. 00 Ford became tighter as the stage wore on. ● Custer fell outside of the top-10 before the stage concluded after he said he was tight in the center of the turns and loose on exit. ● When the stage ended, Custer pitted for four tires, fuel, wedge and air pressure adjustments. ● Custer started ninth, finished ninth and earned one bonus point. 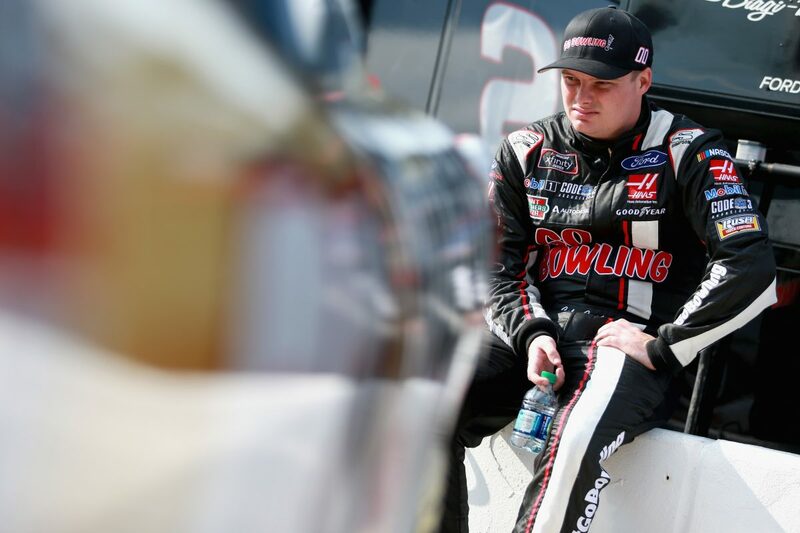 ● Custer raced the Go Bowling Ford back into the top-five by lap 91. ● Tight-handling conditions continued to wear on Custer’s No. 00 Ford, but he kept it inside the top-10 before the yellow flag was thrown on lap 72, ending the stage under caution. ● Custer pitted at the conclusion of the stage for four fresh tires, fuel and more adjustments. ● Custer started eighth, finished 15th. ● Custer raced to sixth place until a lap-161 caution. ● He drove the Go Bowling Ford into fifth place during the restart until the tight-handling conditions continued to hinder his speed. ● Custer pitted during a lap-217 caution for four tires, fuel and chassis adjustments to help his drive off the turns. He restarted from 10th place. ● Custer began to advance the No. 00 Ford through the field until he was contacted by the No. 22 car, bringing out another caution. ● Custer opted to stay out of the pits and restarted from 15th, where he finished the race. ● Five cautions slowed the race for 40 laps. ● Only 19 of the 40 drivers finished on the lead lap.